The International Maritime Organization (IMO) has welcomed a new member, the Republic of Nauru. On May 14, 2018, Nauru deposited its instrument of acceptance to the IMO Convention with the United Nations depositary – becoming IMO’s 174th member state. With an area of 21 square kilometers, Nauru is the world’s smallest island nation with a population of just under 10,000 inhabitants. This developing country is situated north-east of Australia, some 42 kilometers south of the equator. In a separate announcement, the IMO informed that Monaco has acceded to the IMO treaty covering emissions from ship exhausts and energy efficiency (MARPOL Annex VI). The instrument limits the main air pollutants contained in ships exhaust gas, including sulfur oxides and nitrous oxides, and prohibits deliberate emissions of ozone-depleting substances. It also includes energy-efficiency measures aimed at reducing greenhouse gas emissions from ships. 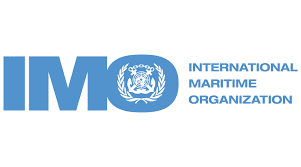 Formally established in 1948, the IMO is the United Nations specialized agency responsible for the safety and security of shipping and the prevention of marine pollution by ships, reports World Maritime News.